The best infrastructure money can buy without buying ANY of it! Windows or Linux - your choice. Available across the globe. If you want to test out your Disaster Recovery plan or if your hardware is at the end of its life, now is the time to move your data to the cloud. With lower upfront costs and faster time to deployment, it is easier than ever. Click here to learn how. 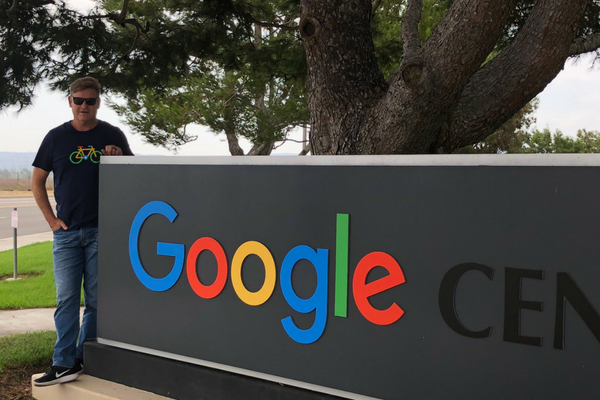 We recently attended the Google Next 19 conference in San Francisco. They made many announcements, including some major ones for their cloud solution. Read more about what we learned here. Thanks to everyone who attended. The recording can be viewed here. Congratulations to Dianne Ackerman from Aptron who won the Google mini! You have questions? We have answers. 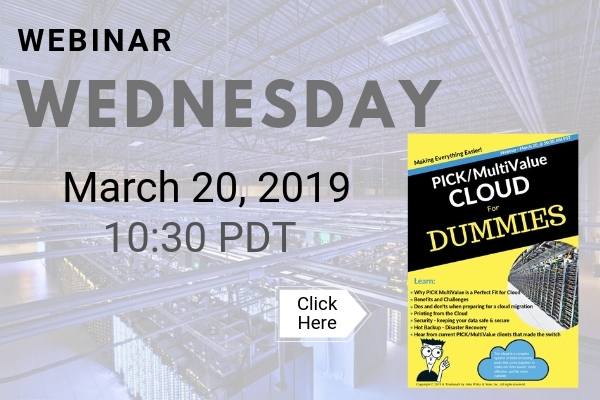 We sat down with Pick Cloud’s CEO (Cloud Evangelist Officer) to discuss common questions people have about the company, PICK/MultiValue in the cloud, Google, and the company’s SaaS business model. Read more here. Bundle and Save! If you are just beginning your journey to the cloud, consider our Cloud Starter Pack. 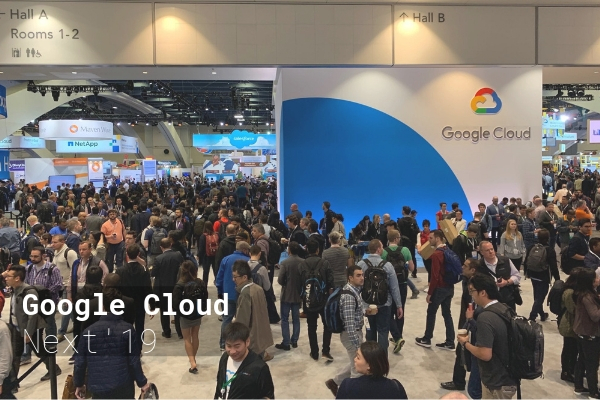 It has everything you need to get started – cloud printing, reporting, AND our standard hosting plan – all on Google’s world-class infrastructure. 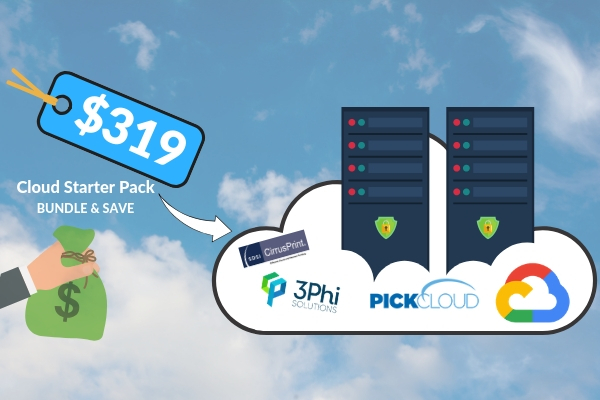 Includes up to 5 cloud printers, phiReport cloud edition (standard version) and our standard hosting plan for just $319 per month. 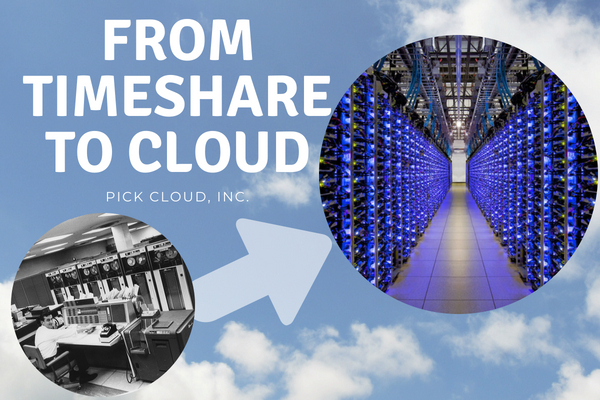 This cloud thing is looking awfully familiar – Full Circle – From Timeshare to Cloud on Rocket Software’s MultiValue Application Platform. PICK is and always has been a perfect fit for Google Cloud. Check out the Rocket Software MultiValue blog where our CEO was the guest blogger. 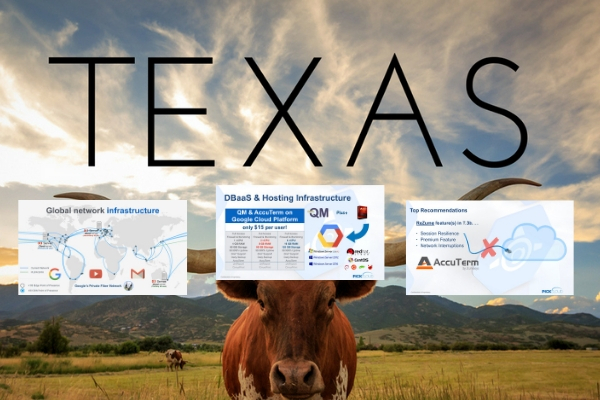 The top 3 things you missed if you didn’t attend the TEXMUG meeting in 🤠Texas MultiValue: 1.) Yes, Google’s global fiber network is damn fast! 2.) QM, AccuTerm, and Google are all included in the $15 per user per month price (DBaaS) 3.) Zumasys’ “ReZume” feature is a must for ALL cloud ☁️clients. As early as 2012 a study by Wakefield Research and Citrix found that 51% of the people surveyed thought cloud computing could be disrupted by stormy weather. 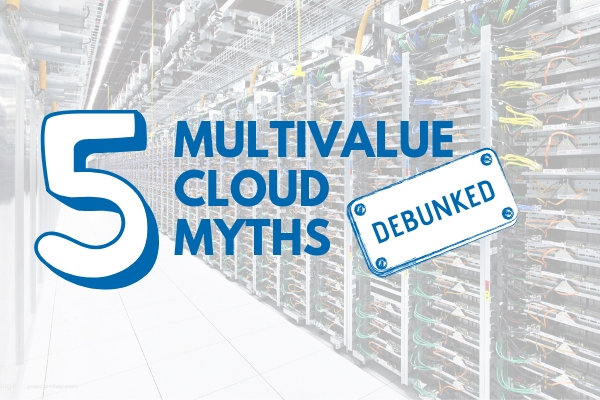 Even today, there are misconceptions about the cloud that still linger. We dispel five of them. 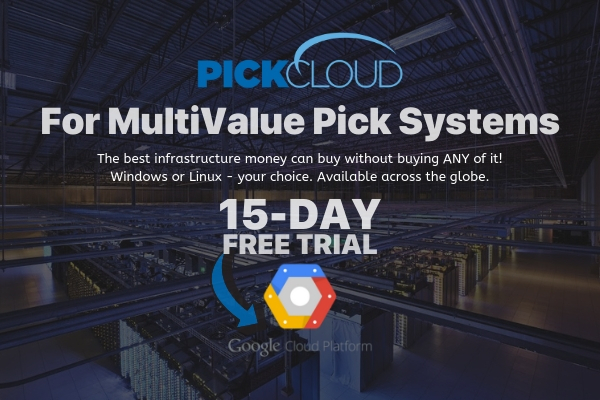 Cloud hosting for MultiValue clients and anyone else who wants to take advantage of Google’s global world-class infrastructure and fiber network. Available on Windows or Linux. We also provide several disaster recovery and backup options for any budget. Try 15 days FREE with no credit card or commitment required! Get started for as little as $15 per seat per month – with all the infrastructure included. Also includes the OpenQM license AND AccuTerm. All you need is an Internet connection. Need help with your PICK application? We know PICK! We have a network of developers with decades of PICK experience. We are database agnostic and can work on any MultiValue platform. You PICK it we know it! All of our Partners were picked with our SaaS model in mind. Our suite of products will make your cloud journey easy! We work with partners that provide such products as Rocket Software MultiValue databases, OpenQM, CirrusPrint, phiReport and more. Our PICK history and SaaS business model have its advantages. Our approach allows us to provide you with Google’s world-class infrastructure and security and our SaaS business model allows us to provide you with software – ALL without breaking your bank. Don’t just take our word for it – try it FREE for 15 days – no commitment required.